1. Create a Visuaforce page similar to this below code. Replace a0A with your object. To find it, open the object's tab and get it from the URL. 2. Go to object's new button. 3. Edit it to override it. 4. 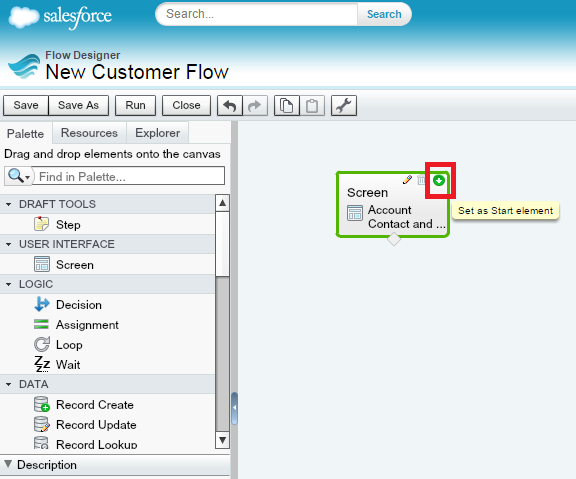 Select the Visualforce page to override the New button and clickc"Save" button. 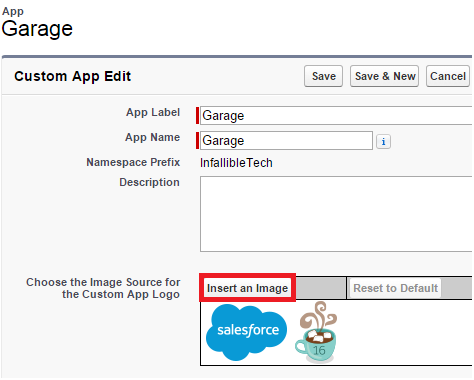 How to change the logo on the Salesforce Home page? 3. Select "Insert an Image". For standard app, you cannot customize its label or logo. 1. Go to My Domain. 2. Click "Click here to login". 3. 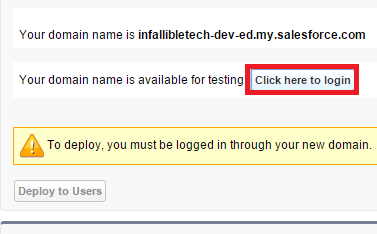 Click "Deploy to Users". Still if you are unable to see Lightning Component Tab Section, make sure you have created few Lightning Components which implements "force:appHostable". The Lightning Component framework is a UI framework for developing dynamic web apps for mobile and desktop devices. It’s a modern framework for building single-page applications engineered for growth. 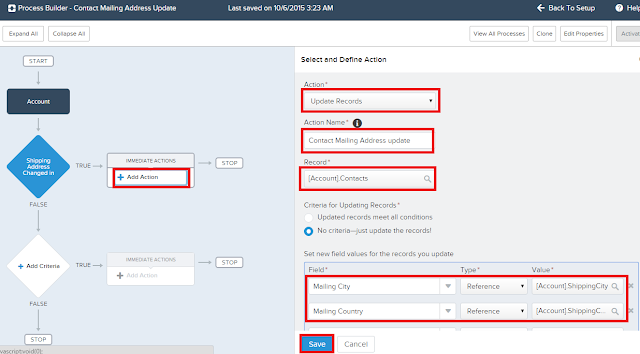 How query records created today in Salesforce using SOQL? 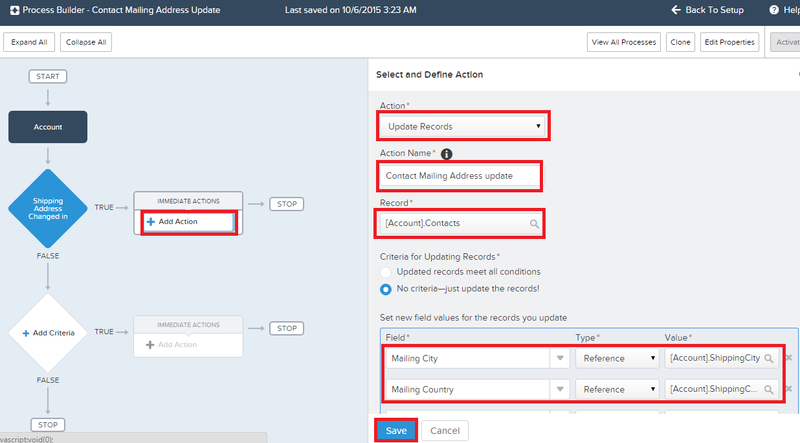 How to schedule a Schedulable class at specified time instantly in Salesforce? 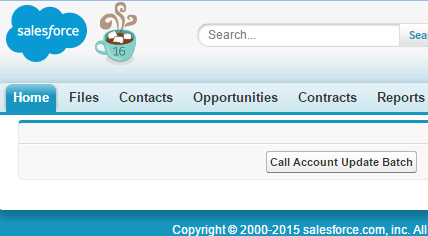 The above code will execute AccountUpdateScheduler exactly at 3:30 PM on 20th October 2015. 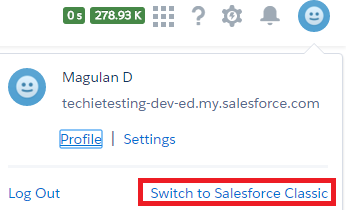 How to show status of batch job in Visualforce page? Whether you’re already certified or pursuing an advanced credential, there are certain key dates to keep in mind. Below you’ll find information about the important dates for release exams, the Certified Force.com Advanced Developer programming assignment, and the Certified Technical Architect review board. 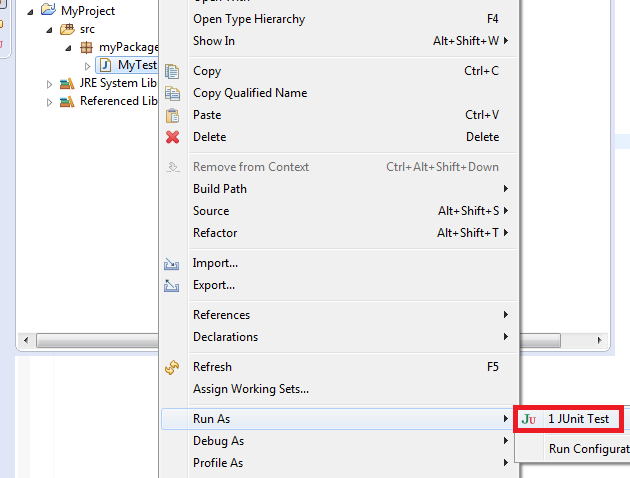 1) What is the list View In Visual force? 2) What is test visible? 3) Write a Query to retrieve all the records starting with A from Lead Object? Like Operator can be used. 4) What is the Best Practice to Avoid Governor Limits While writing Apex? 5) What is the best Practice of writing the test classes? For Deployment, Changes sets are used. Data list is used to display in tabular form. 8) What are the different Components of Visual force? 9) What Is the Difference between Database.stateful & Database.batchable? 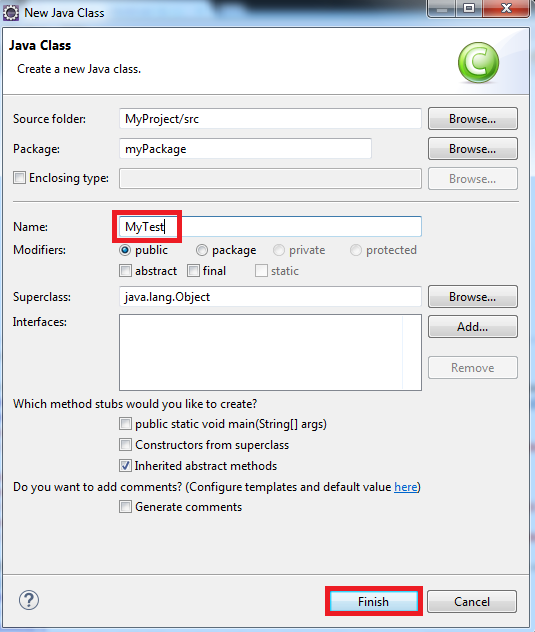 Package.Xml is used in Apache ANT tool for deployment. 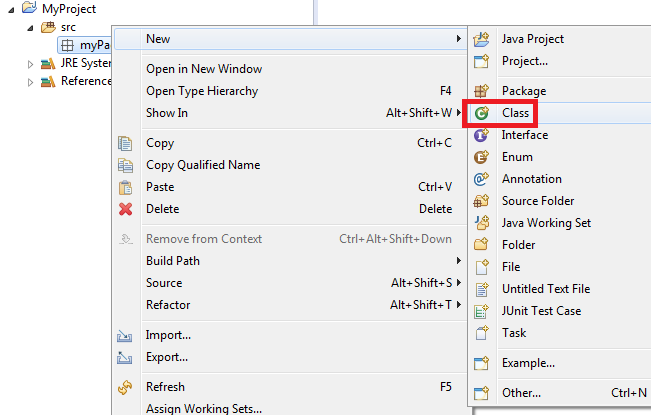 It contains the components list for deployment. 1. Explain your roles in the project. 2. Any custom functionality have you developed? 3. I have three text fields.. say first name, middle name and last name. I want to make them unique. How can we do it using admin? Create a field with Unique attribute. Use Field Update WF to update this field with the concatenation of First Name, Last Name and Middle Name. 4. I have two page layouts p1 and p2, 2 profiles prof1 and prof2, have 3 field f1, f2 and f3. For prof1 I have p1 and f1 f2 on the page layout .. prof2 has p2 layout and f3 field. Now all the three fields have validation rules. When prof2 user is trying to create a record and save will f1 f2 validation rules get fired ? Yes, they will get fired. How can we prevent the f1 and f2 validation rules from executing for the prof2 user? In the Validation rule check the User's profile. 5. Have you worked on workflows approvals? If so, what is it? 6. What are different workflow actions? 7. How are workflow actions triggered? i.e., what are the conditions? 8. 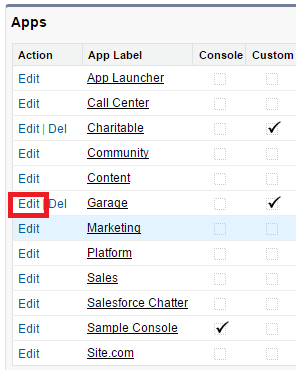 What is the difference between when created edited and created any time it’s edited to subsequently meet criteria in Workflow Salesforce? 9. I have an object and a pick list STATUS. In that values are open, close and win. I want to send a mail every day till the status is open. How can u do that using workflows? We have to develop batch apex and schedule it daily. 12. 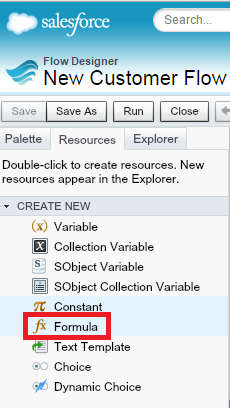 What is the difference between collections and primary data types? Collections can hold a group of data. 14. What is required for SOAP API? 15. What are all the relationships in salesforce? 16. What is the difference between Lookup and Master Detail relations? 17. I want to change Master Detail to Lookup.. what are the considerations? We have to delete the Roll up Summary Fields. 18. How do you write roll-up summaries for example say I have an amount field on the child records and it rolls up to TOTAL AMOUNT when it was Master Detail relation. Now its LOOKUP so how to handle this. Workflow will be triggered whenever the record is created. Workflow will be triggered whenever the record is created and updated. 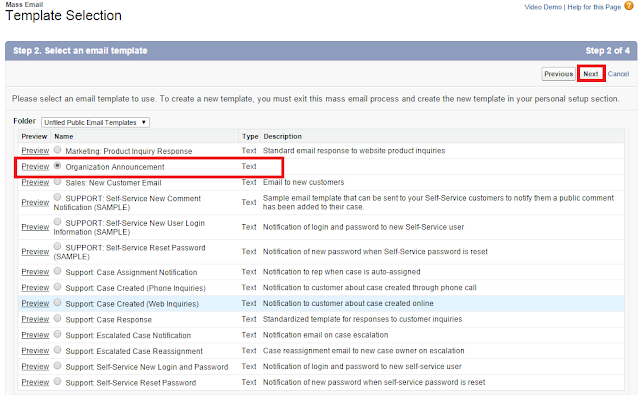 Workflow will be triggered whenever the record is created and updated records which previously didn't meet the criteria. What are different workflow actions in Salesforce? An approval process is an automated process your organization can use to approve records in Salesforce. An approval process specifies the steps necessary for a record to be approved and who must approve it at each step. Approval steps assign approval requests to various users and define the chain of approval for a particular approval process.Each approval step specifies the attributes a record must have to advance to that approval step, the user who can approve requests for those records, and whether to allow the delegate of the approver to approve the requests. The first approval step in a process specifies the action to take if a record does not advance to that step. Subsequent steps in the process allow you to specify what happens if an approver rejects the request. 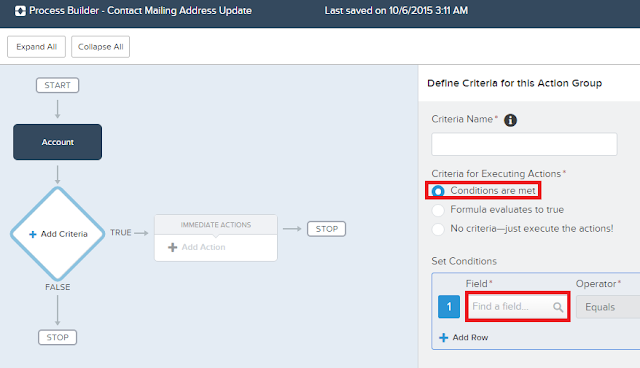 How to write a validation rule of Multiselect Picklist in Salesforce? 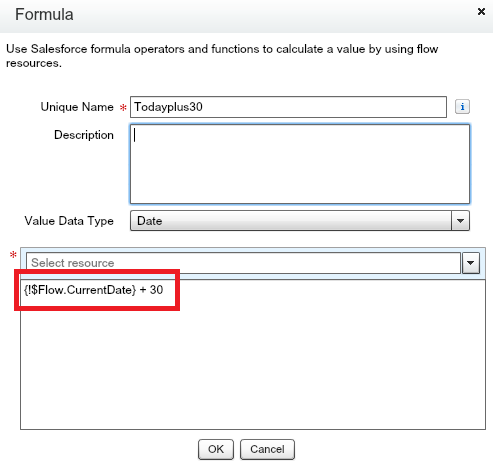 INCLUDES() is used to write a validation rule of Multiselect Picklist in Salesforce. Determines if any value selected in a multi-select picklist field equals a text literal you specify. How to Switch to Salesforce Classic from Lightning Experience? If you face "The 'My Data' Lightning App was not found", do the following. 1. Register in My Domain. 2. 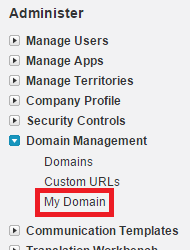 Install the Package only after successful domain registration. You will receive an email from Salesforce. 3. Create a new App Builder with "My Data". If you have the old one, kindly delete it. 1. Go to Setup --> Build --> Develop --> Lightning Components . 2. 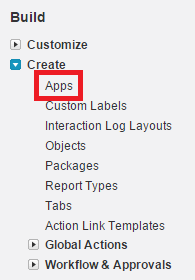 Check the Enable Lightning Components in Salesforce1 (BETA) checkbox. 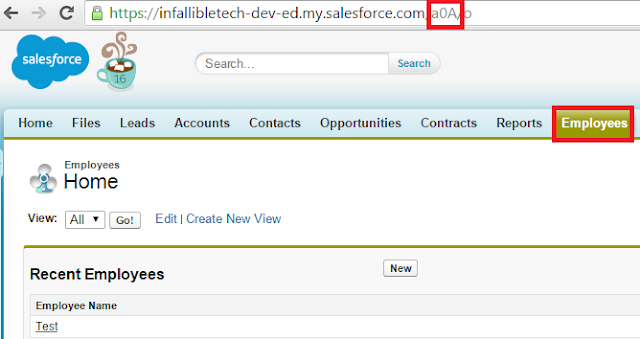 How to send email to all the users in the Salesforce organization? 1. Go to Mass Email Users. 2. Create a view or select a view. Click "Go" button. 3. 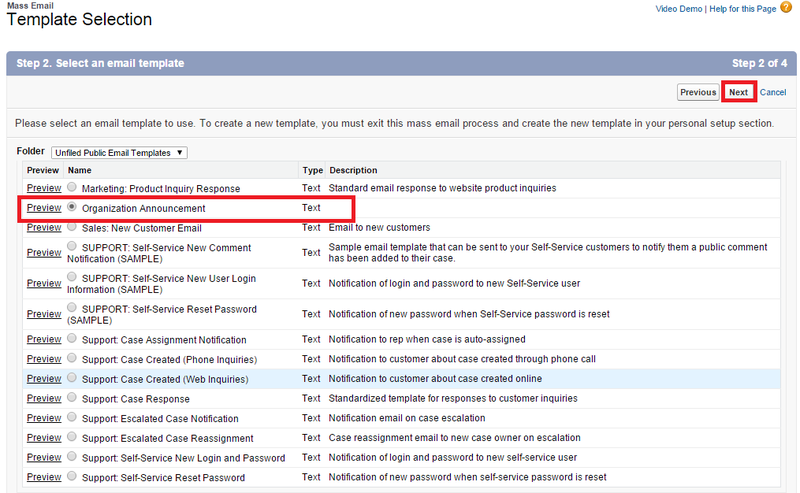 Create an email template for next step. Select the users and click "Next" button. 4. Select the Email Template. 5. 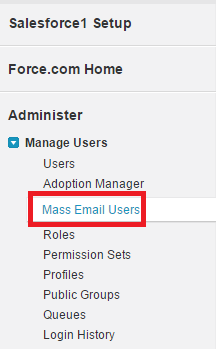 Enter Mass Email name and click "Send" button. 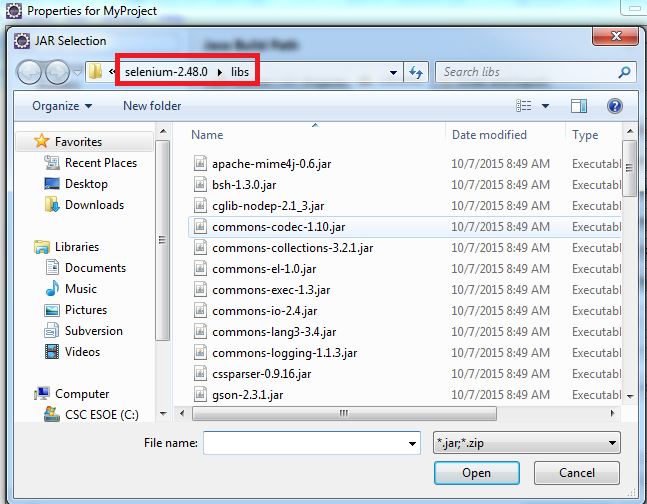 How to use equals instead of Contains xpath Selenium IDE? 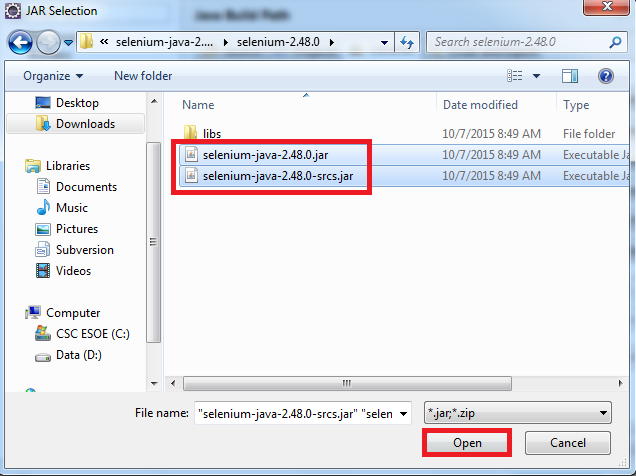 We have to use equal to (=) operator for Equals Condition in Selenium IDE. How to enable Save & Add Product button in Opportunity Creation in Salesforce? 1. Go to Opportunity Settings. 2. Enable "Prompt users to add products to opportunities". 3. 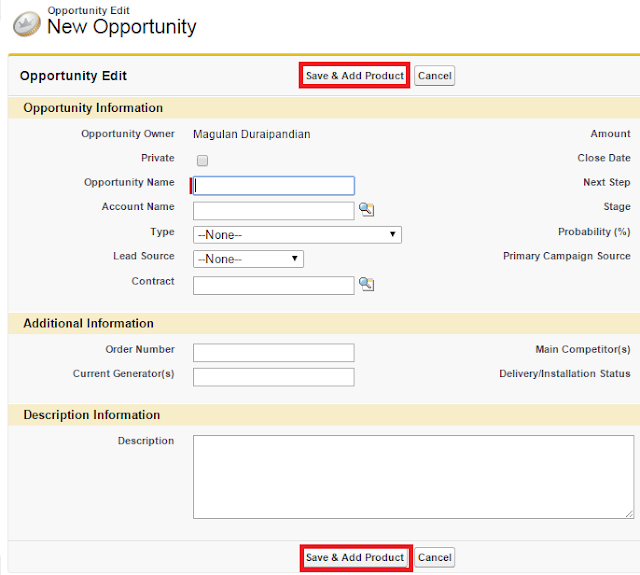 When you go to create an Opportunity, you will be able to see "Save & Add Product" button. 1. 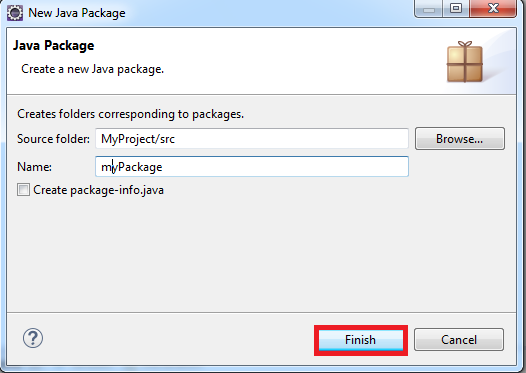 Create a JAVA Class. 2. Enter class name and Save it. 3. 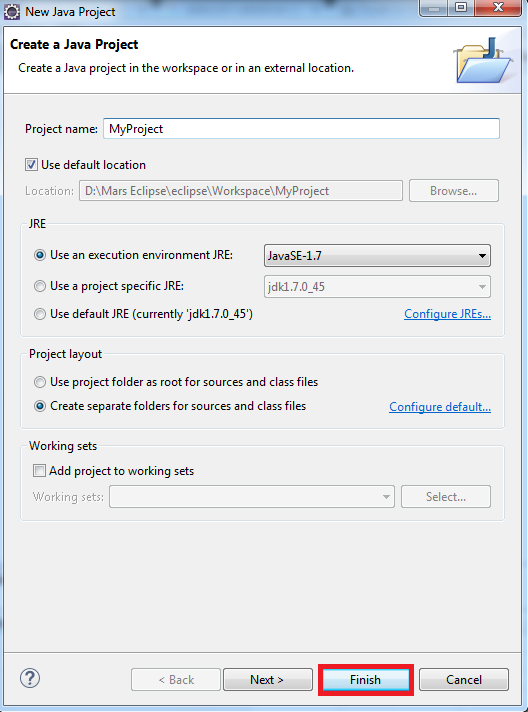 Create a method inside the class. In my case I have created startTest(). 4. 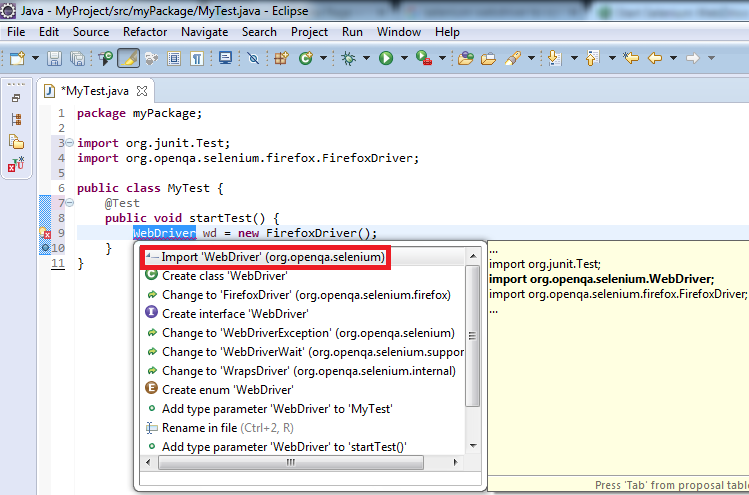 Use the help icon to fix the issue by importing "import org.junit.Test;". 5. Use the below code to open a web page. 7. Run it, so that it will open the page. 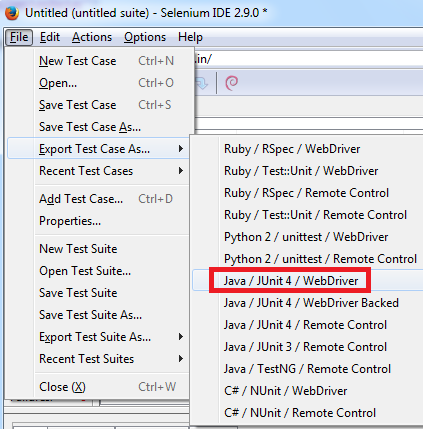 How to save test case as JAVA Webdriver code in Selenium IDE? Follow the steps provided in the link to register for Salesforce Certification Exam. Payment can be done only using Credit Card. 1. 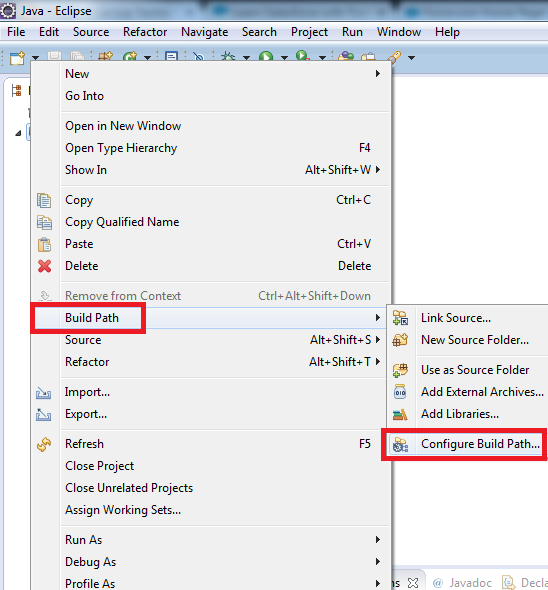 Open the component in Developer Console. 2. 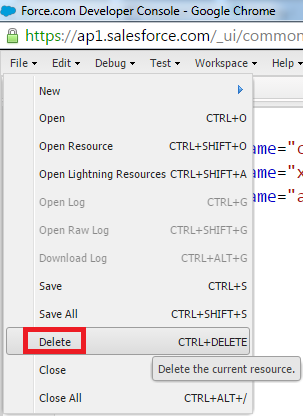 Go to File --> Delete. 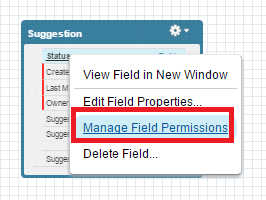 How to set field permission from Schema Builder in Salesforce? 1. 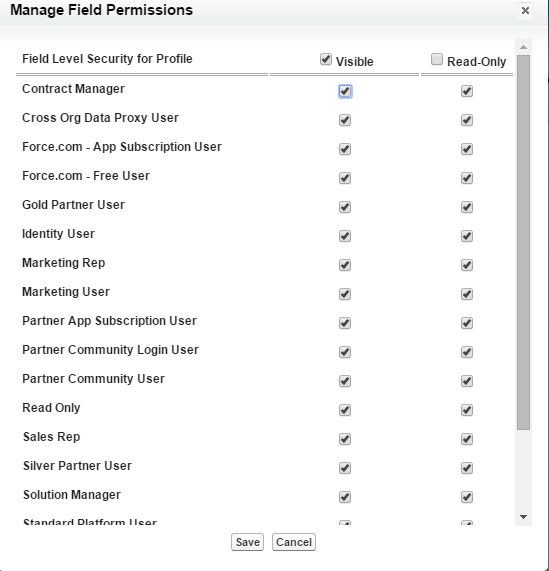 Right Click the field and select "Manage Field Permissions". 2. Set the Field Permissions. 2. Under Selenium Client & WebDriver Language Bindings, download the WebDriver according to your programming language. 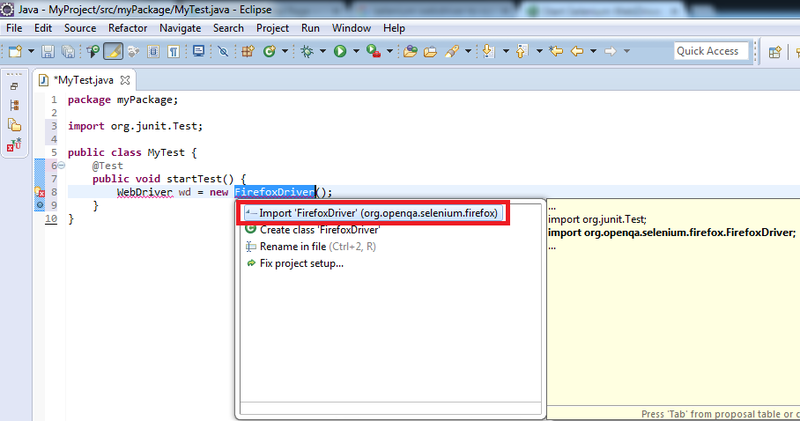 In my example, I am selecting Java. 5. 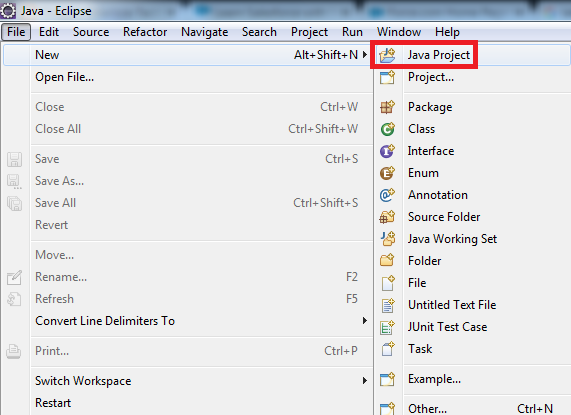 Go to File --> New --> Java Project. 6. Give any name to the project and click "Finish" button. 7. 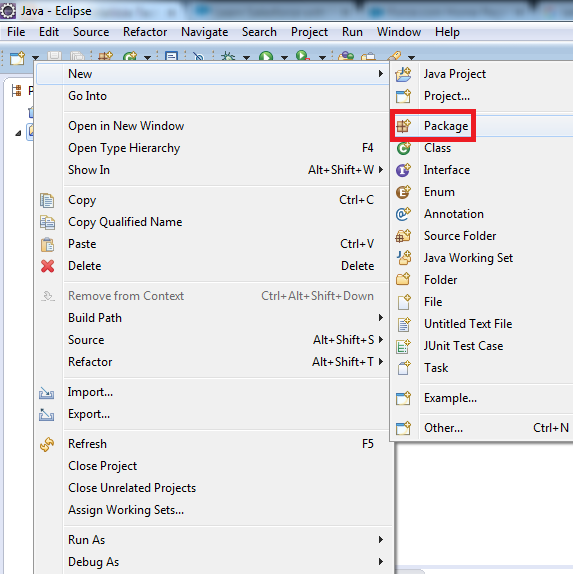 Create a new Package. 8. Give any name to the project and click "Finish" button. 10. 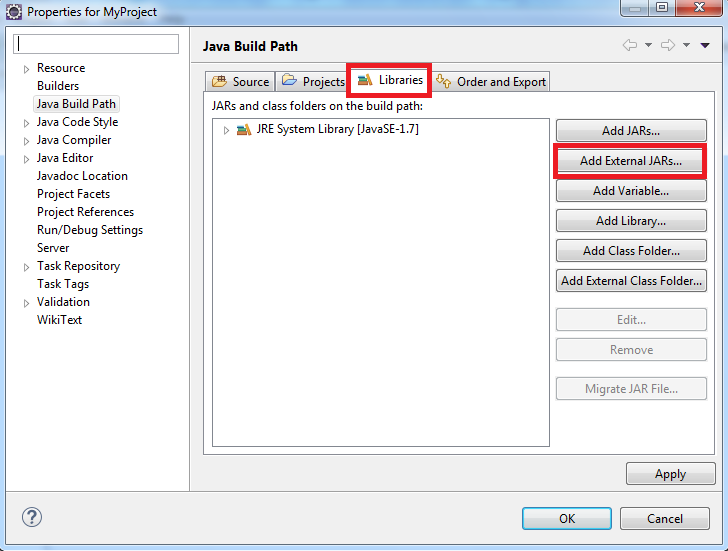 Select Libraries and click "Add External JARs..". 11. Add the Jars from the extracted WebDriver folder. 12. Add the Jars from Libs folder too. 13. You should be able to see the Jars in Referenced Libraries. Don't delete the JARs after adding it to the package from the source directory. 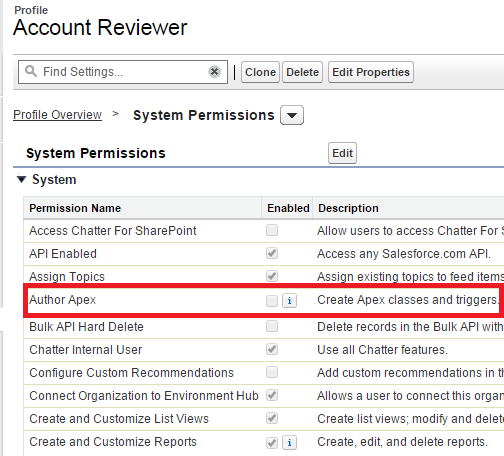 Author Apex permission in System Permissions in profile allows users to create Apex Classes. 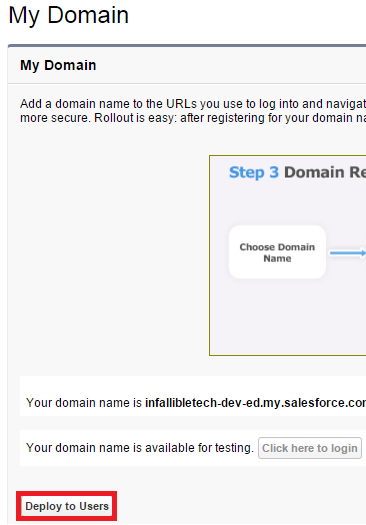 How to upsert using External Id using Apex in Salesforce? here listAccount is the List<Account> and External_Field__c is an External field. 1. If the key is not matched, a new object record is created. 2. If the key is matched once, the existing object record is updated. 3. If the key is matched multiple times, an error is generated and the object record is neither inserted or updated. 1. Create a formula field. 2. Enter the details as mentioned below. The Process Builder is a tool that allows you to easily automate business processes using a convenient graphical representation of your process as you build it. 3. Immediate and scheduled actions to execute when those criteria are met. 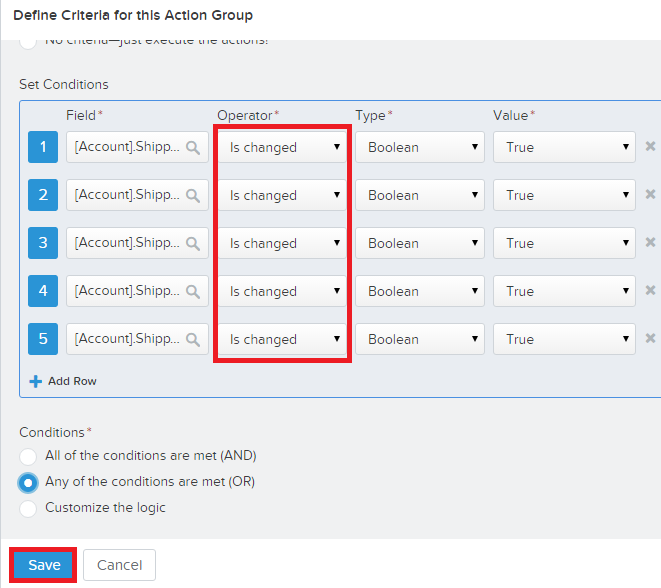 Any change that causes a record to match the criteria automatically triggers the action group. 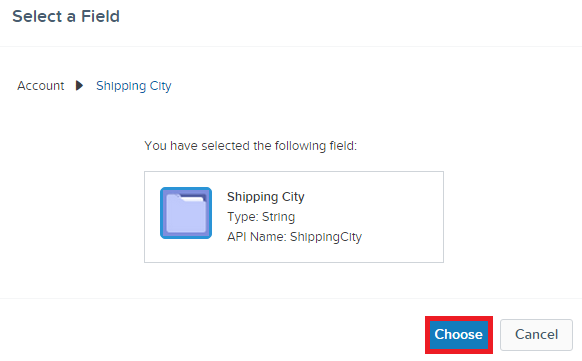 Update Contact mailing address fields (Street, City, State, Post Code, Country) when the parent Account shipping address field values are updated. 1. 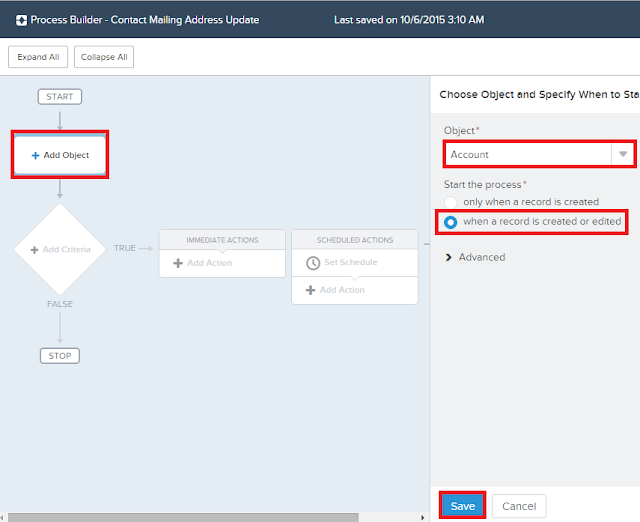 Go to Build --> Create --> Workflow & Approvals --> Process Builder. 3. Enter the name and description. 5. Select Add Object. Select the conditions as below and click "Save". 6. Click "Add Criteria". 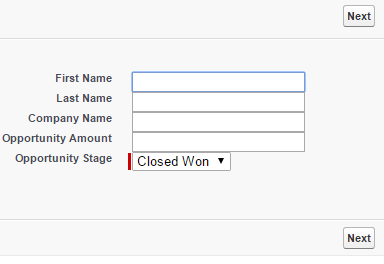 Select the criteria as below and select a field. 9. 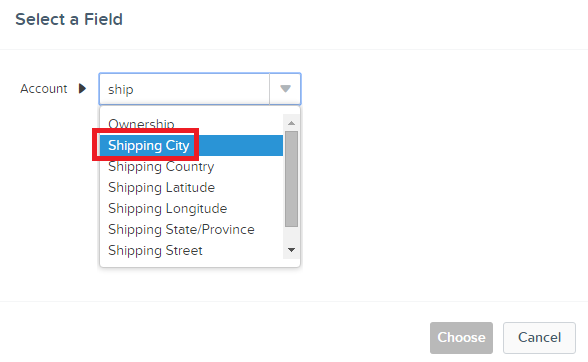 Select all the Shipping fields. Select Is Changed as the operator and value as True and click "Save". 10. Click "Add Action". 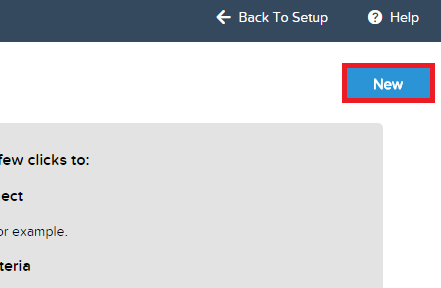 Enter and select the options as below and click "Save". 11. Activate the Process Builder.